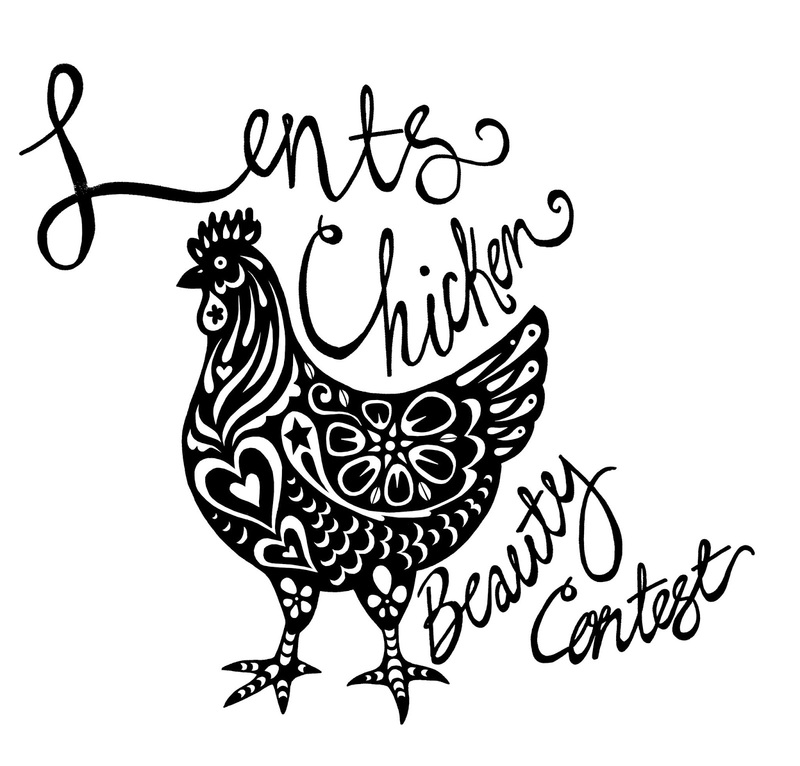 The Lents Fair Chicken Beauty Contest: SHIRTS SHIRTS SHIRTS!!! 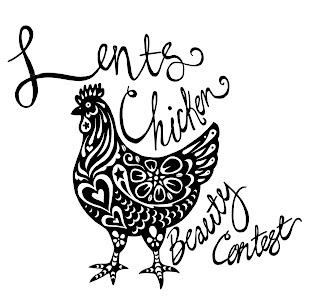 So last year I made a t-shirt design for our Beauty Contest Volunteers. I loved how the turned out. Our volunteers loved them (and wear them constantly, which is quite flattering), and our visitors loved them. So much that we felt like we could perhaps sell beauty contest shirts for charity this year?! Which seems crazy right now, but we are still gonna do it! Below is my design, more or less how it will look. I think its going to need a "2018" somewhere. And here is the design on a mock up that my t-shirt printers sent me!!! I love our t shirt printers. Their business name is, no joke, Phantom Chicken. How perfect is that?! And they are located near Lents, so they are practically our neighbors! We haven't settled on shirt/print colors yet, but the two samples below are pretty rad. When we finalize stuff we will post it here with info on color, style and price. You'll be able to buy your very own shirt the day of the fair! Charming design--especially for those of us chicken enthusiasts. I have a blog, www.alittleredhen.com, longtime fan of hens as good symbol for women--very international.